My memory seems to be lurking around the first boarding school I attended, Wroxall Abbey. One of the things that makes this exploration of memory so interesting to me is how it lingers over a particular time in my past and the blog posts seem to clump. Here’s one last post about Wroxall. Coming to the letter T in the challenge, I thought immediately of ‘time’, and then I was transported to the small music room at Wroxall, so new it smelled of paint. We had a young music teacher who taught at the school for a very short time; I don’t know why she didn’t last. She gifted us the basics of reading music, we sang some neat songs, and she played us tracks that opened our ears and minds. One of those pieces of music was the Raindogs album by Tom Waits. I fell in love with those interesting weird songs, with their deranged narratives and soulful, subliminal poetry. When our teacher played us Time, my heart broke and I cried. I can’t remember how it affected the others in the room; I think I’d become too internal as I listened to be aware of the others. It was how bleak and lonely the characters in the song are, and the repetition of the word Time in the chorus that turns it into one of those laments in which a sad mood becomes suspended. For some reason this song spoke to me and all of a sudden George Michael and Simon Le Bon seemed woefully inadequate (which is kinda unfair – not the same animal at all). I wonder if the song was touching a restless loneliness in me at the time? 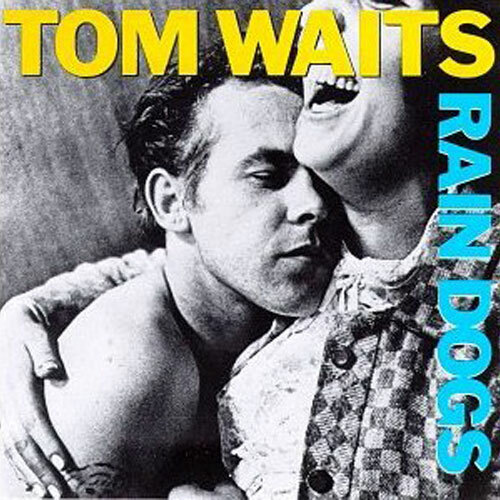 I’ve had Raindogs on loop in my house and car ever since I recalled the day I was introduced to Tom Waits. The song Time touches me still. I love Tom Waits. He had an interesting collaboration with Crystal Gayle for the “One from the heart” soundtrack. His gravelly voice juxtaposed to her silky smooth vocals was really interesting….